I took my girl to see "The Wizard of Oz" last weekend. She loved it! 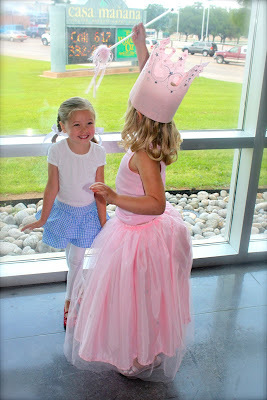 She and I even made a special dress to wear- Glinda is her favorite character. 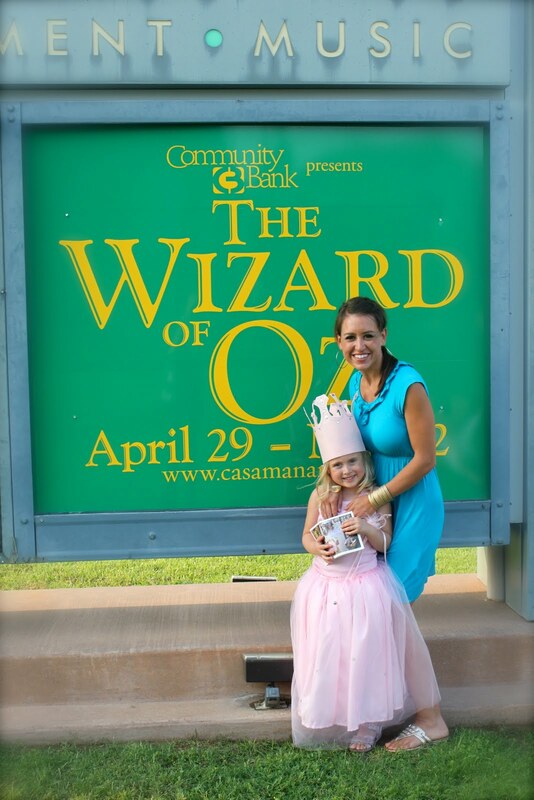 Wouldn't it be great to have a "Wizard of Oz" party?! Dorothy's basket complete with a cookie Toto. Doesn't it always come down to the shoes? Linking up at Tatortots and Jello and Be Different Act Normal. I absolutely LOVE this post! My b'day is in August. Oh, I mean my daughter's b'day is in October! Who wouldn't want to be dressed up like Glenda? Oops! Sorry, I forgot to post my blog. It's new and still in the design process, but I've already started posting to it, like last weeks ruffle lamp. Thanks for your lovely comment. LOVE this post! Great ideas. 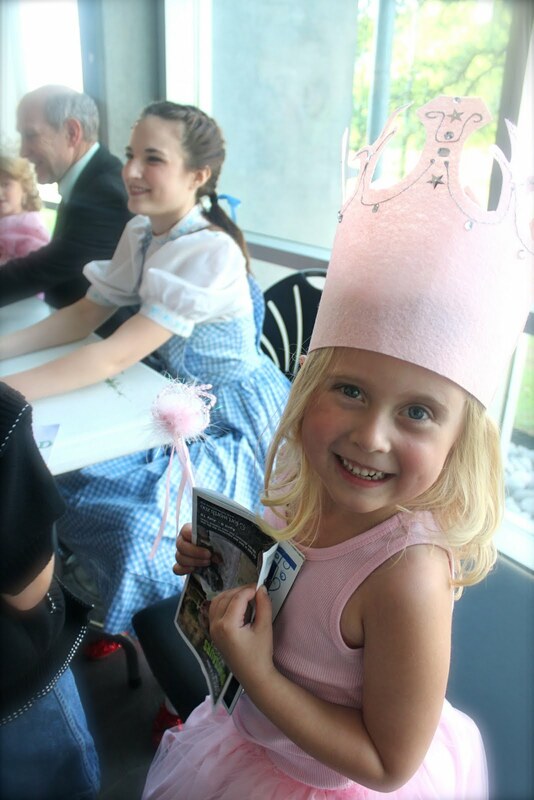 We are having a convention and one night will have a Wizard of Oz theme.